Want to write more (more often, more freely, more effectively) but just can’t get started and keep going? Allow yourself worry over criticism or rejection to keep you from writing? Remember ten other things that you must do whenever you get ready to write? Have great ideas while driving or in the shower, but go blank when you sit down at the keyboard? Sabotage your own best efforts with excessive self-criticism, missed deadlines, lost files, and lost opportunities? If you answered “yes” to any of these questions, the good news is that you’re not lazy, undisciplined, or lacking in willpower, talent or ambition. You just need to learn what’s happening inside your brain. Stop blaming yourself and start harnessing the power of brain science to overcome resistance and develop a productive writing habit. For over twenty years as a writing teacher and creativity coach, Roseanne has given thousands of writers the tools to bust through writer’s block and other forms of writing resistance. 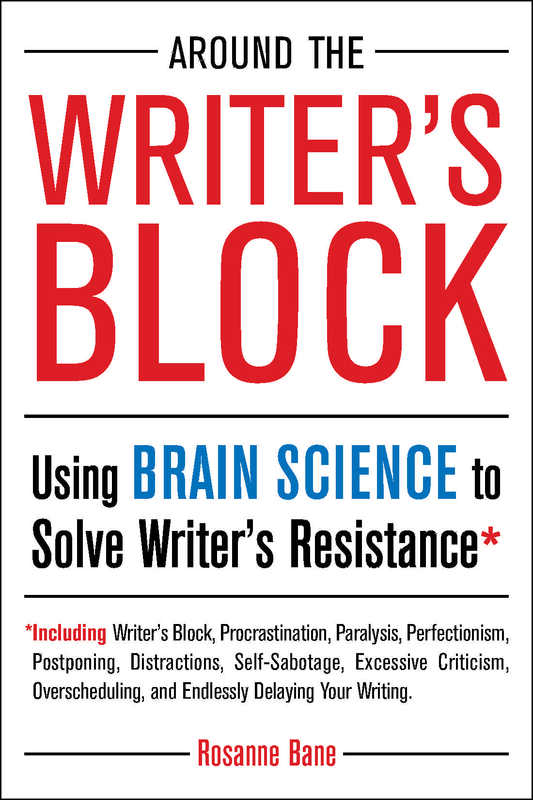 Around the Writer’s Block uses the latest breakthroughs in brain science to help you understand where writing resistance comes from – a fight-or-flight response hard-wired into our brain, which can make us desperate to avoid the sources of our anxieties – and the only truly effective way to solve that resistance. Her three-part plan rewires the brain’s responses to the anxiety of writing, helping you develop new, reliable writing habits, leave stress and anxiety behind, and become the writer you have always wanted to be.